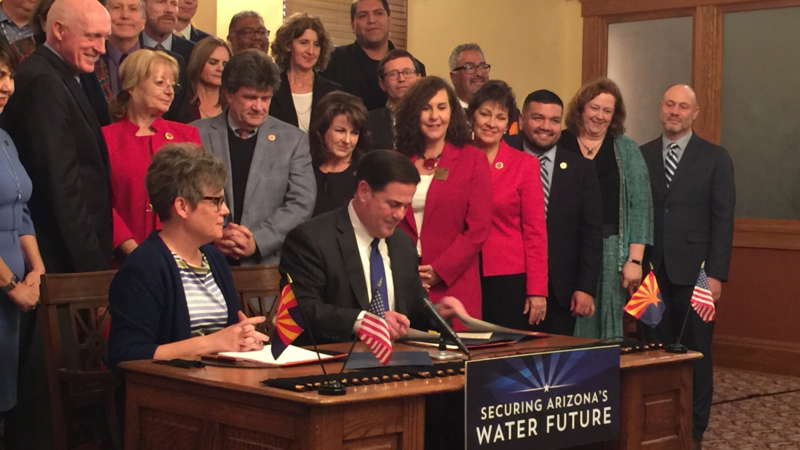 Welcome to The Blue Wave, a weekly newsletter during session from the Arizona State Senate Democratic Caucus where you'll find news about what's happening at your state legislature and how you can make your voice heard! Republican efforts to keep voters from practicing their constitutional right to vote are progressing rapdily. Republican Senator Michelle Ugenti-Rita's SB1046 and SB1072 are set to be debated on the floor any day. Watch the video below and contact your senator to urge a vote against these disenfranchising bills. 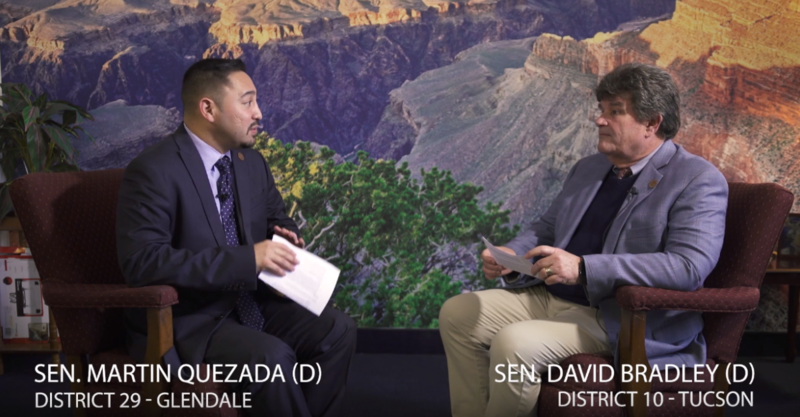 On our first Canyonside Chat, we're talking about the latest voter suppression efforts moving through the Senate, with host Senate Democratic Leader David Bradley and this week's guest Senator Martin Quezada. Last week we told you about a misguided attempt to use conforming to changes in federal tax law as a convenient excuse to hand out irresponsible tax cuts to the wealthy. That idea was rushed through the Legislature and sent to the governor's desk on Thursday. Well, on Friday Governor Ducey vetoed that bill. This was the responsible decision. Full conformity would provide certainty for taxpayers and tax preparers, who are already at work. Many Republicans claimed it is a tax increase but the truth is, the vast majority of Arizonans will see an overall tax cut as a result of both federal and state tax changes. Tax cuts, and their resulting cuts to state services, have been the rote Republican answer to virtually every problem our state has faced for decades and you can see where that has gotten us. Our schools are among the lowest funded in the nation and falling apart, along with our roads, bridges and other infrastructure that fuels commerce across the state. If we reduce revenue again when we have a rare opportunity to catch up, even just a little bit, we will fall even further behind if our economy slows down again. We stand with Governor Ducey in our belief that we should adopt clean conformity and use the additional revenue to both save for the next economic downturn and put toward restoring cuts to our schools and increasing teacher salaries to stem the teacher retention crisis. For years we have introduced bills to curb the self-dealing and legalized corruption that some outlier charter school operators practice. Recently we have seen reports where operators pocket tens of millions in tax dollars meant for educating kids while many of their students can't pass state tests. This is outrageous and unacceptable. This year some of our members have signed on to Republican Senator Kate Brophy McGee's SB1394, which could begin to set restrictions on these abuses. The bill is a work in progress and doesn't go nearly far enough for us, but we have signed on to have a seat at the negotiating table with hopes we can ultimately make meaningful change. If not, we will withdraw our support from the bill and continue to advocate for meaningful governance and transparency reforms. Read more about the bill and our concerns here. The Lower Colorado Basin Drought Contingency Plan has been adopted and signed! After months of stakeholder meetings and negotiations, with Senator Lisa Otondo representing our caucus, a plan was finally agreed upon and adopted by the Legislature. This is an important measure to buy Arizona time before Lake Mead drops to levels where water restrictions will be required for Arizonans. We must use this time to study and enact water conservation measures that will ensure a sustainable water future for our state. After hearing 83 Republican bills, this marks the very first Democratic bill to be heard this session. 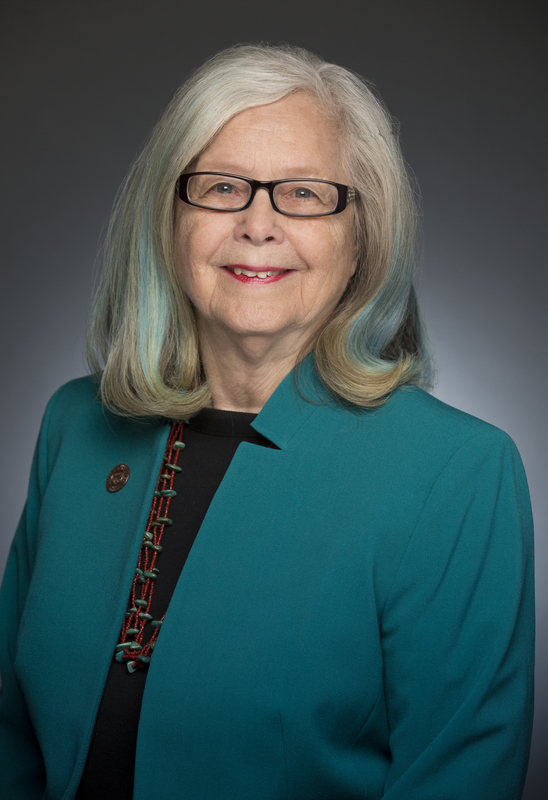 Senator Bowie's bill would establish the Arizona Works community college grant program for students enrolled in Continuing Technical Education programs at community colleges and would pay for qualifying student's tuition and fees for two consecutive years. The grant program would be funded with $10 million each fiscal year for the next 5 fiscal years. The second Democratic bill set to be heard in committee, SB1119 would prohibit the use of indoor tanning devices to anyone under 21 years of age. The next in Republican Senator Ugenti-Rita's multi-bill attack on voting rights, this bill would purge voters who are on the Permant Early Voting List from the list if they do not vote in the primary election and general election for two consecutive primary and general elections. ""It is important to know the Democratic caucus in the Senate and House agree with the governor on this," said Sen. Martin Quezada, D-Phoenix. "This is the type of bipartisan leadership we were looking for here. When he has a good proposal, as Democrats, we are willing to stand by him and have his back." "The principles of non-discrimination are rooted in core conservative values of fairness, equality and opportunity. Everybody should have the chance to earn a living and provide for themselves and their families. Nobody should have to live in fear that they can be legally fired for reasons that have nothing to do with their job performance." "The bill is simple: It requires at least one baby changing station in any newly constructed or renovated public restroom. That includes men’s and women’s restrooms, and it applies to any renovation that costs $10,000 or more. Arizona's bill is sponsored by Democratic Sen. Juan Mendez and co-sponsored by a slew of Democrats. It has yet to earn a committee hearing." "All four Republicans in the Senate Government Committee — Farnsworth and Sens. Sonny Borrelli, Vince Leach and Frank Pratt — voted Monday to pass SCM1001 while Democrats Lela Alston, Juan Mendez and Victoria Steele opposed it. Steele, D-Tucson, said she voted in opposition because a border wall will infringe in the territory of the Tohono O’odham Nation, which has 62 miles of international border with Mexico." Want to make your voice heard at the Legislature?